This ring has it all. A beautiful round center diamond surrounded by both princess cut and round diamonds. The princess cut diamonds are channel set into the band which is also surrounded by a row of smaller round diamonds on each side. 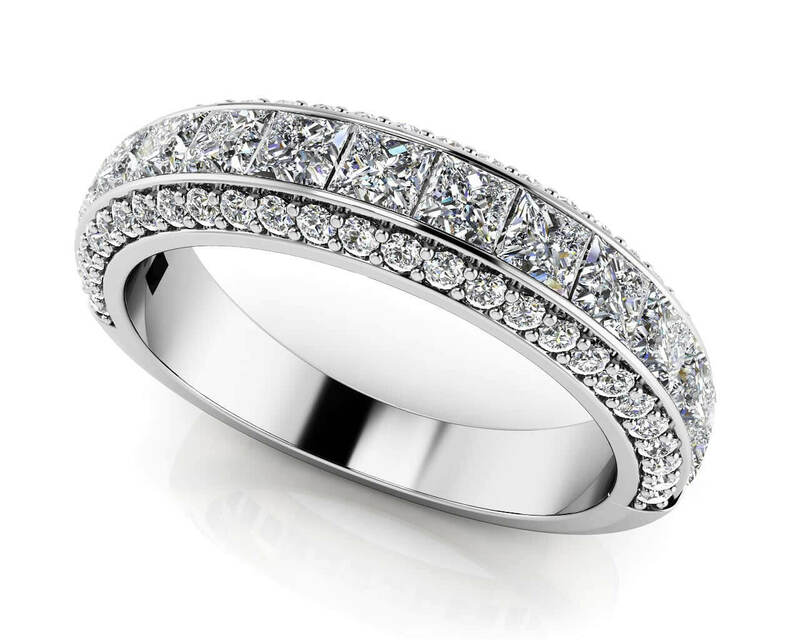 This ring provides the perfect combination for women who desire to have both modern and traditional cut diamonds. This ring is available in six different total carat weights and metal types. Model Carat Weight: 1.75 ct. Effective Carat Weight: 1.75 ct.
Stone Carat Weight: 48X.007 ct., 14X.065 ct.
Add an exact replica of your diamond engagement ring or diamond bridal set in Sterling Silver and Cubic Zirconium Stones for just $308.00. 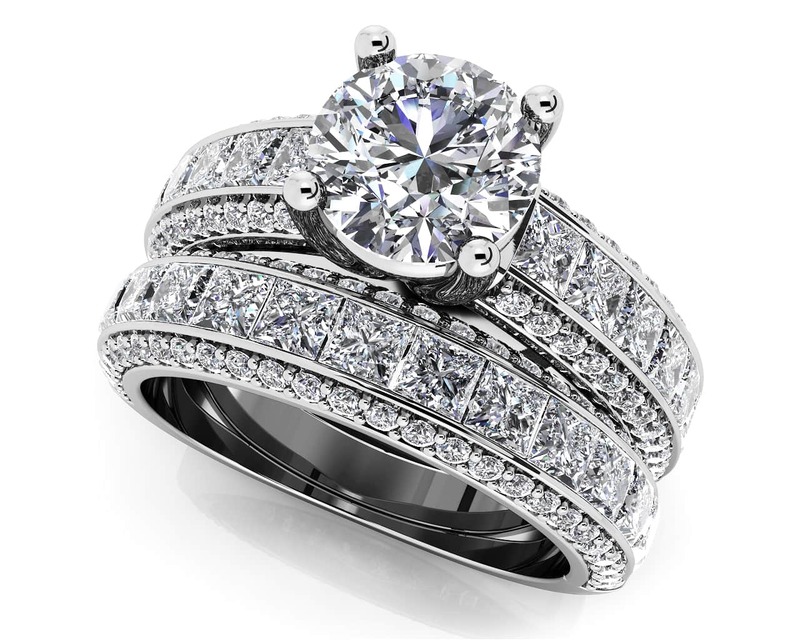 Having a duplicate engagement ring or bridal set has many benefits. 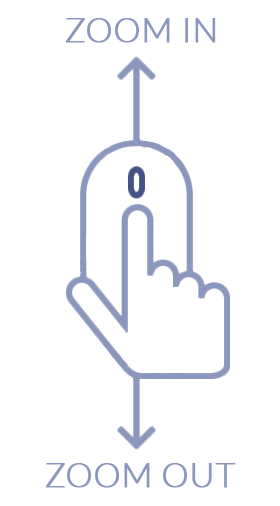 If you are engaged in activities that may result in losing or damaging your expensive diamond ring (gym, swimming, vacationing, etc), the silver replica ring is an easy, low cost solution to ensure your peace of mind! 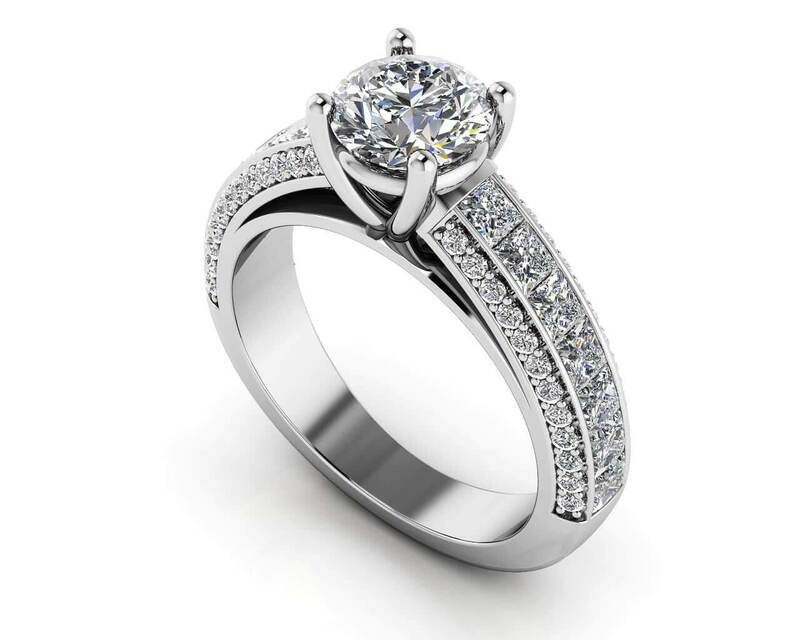 You will receive a replica ring(s) with the same specifications as your diamond jewelry order. The ring(s) style, carat weight, and ring size will be an exact match.